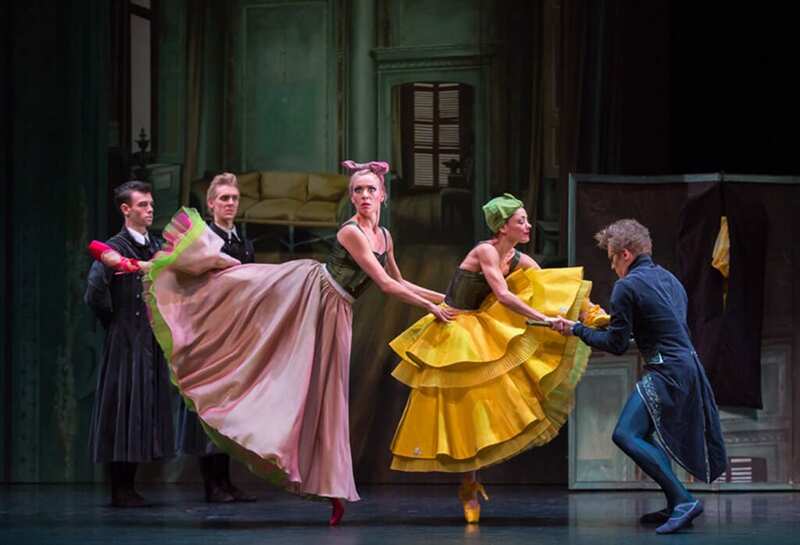 Scottish Ballet’s latest production of Cinderella is the perfect balance of physical comedy and festive sparkle. I realise that sentence is nauseating and that it is now mid-January. However, after last night’s ballet and an afternoon of watching snow drift past my window, I must admit, I’m still feeling a bit Christmassy. Let’s start with the physical comedy. Numerous choreographers have given their interpretations of Prokofiev’s dazzling 1945 score, including Nureyev’s famous ‘Hollywood’ rendition. 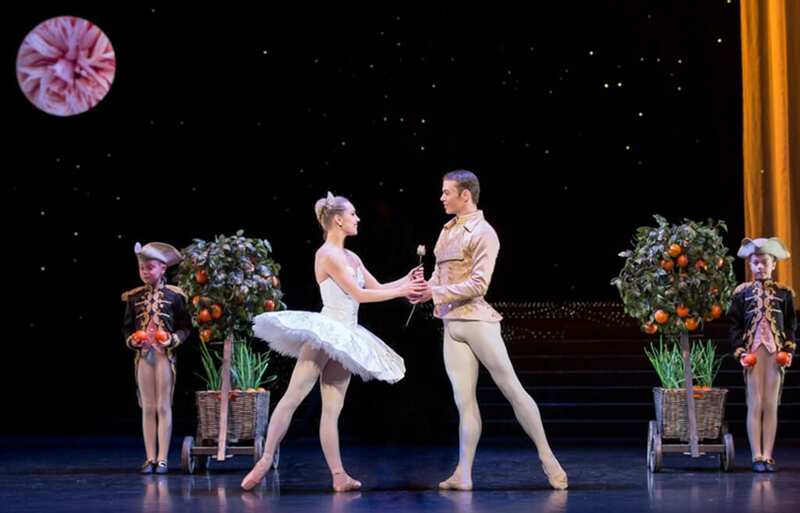 Cinderella is one of the few Christmas ballets to feature comedy. The ugly step sisters (Brangan and Squire) have been played in the past by both men and women, and the roles lend themselves to the kind of slap-stick we’re used to seeing in pantomime. 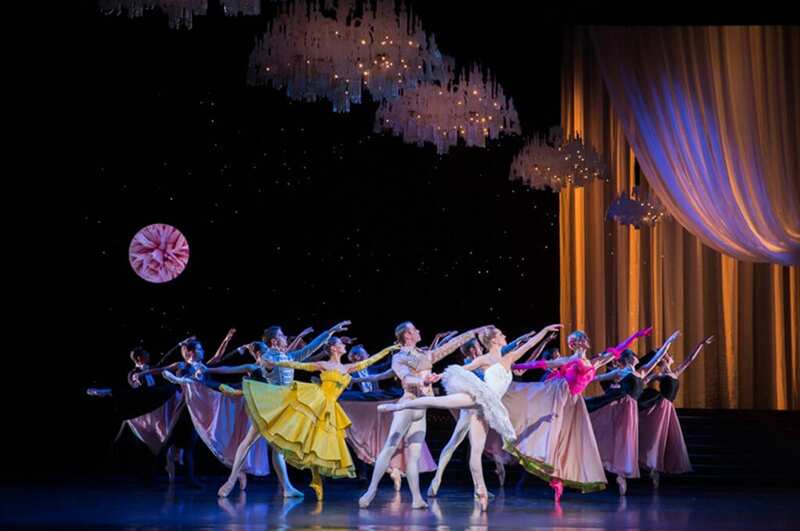 Christopher Hampson’s acclaimed production takes full advantage of this potential and provides plenty of stylised comic choreography – I’m thinking particularly of the ball where the beautiful ensemble mazurkas and waltzes are aped by the sisters. 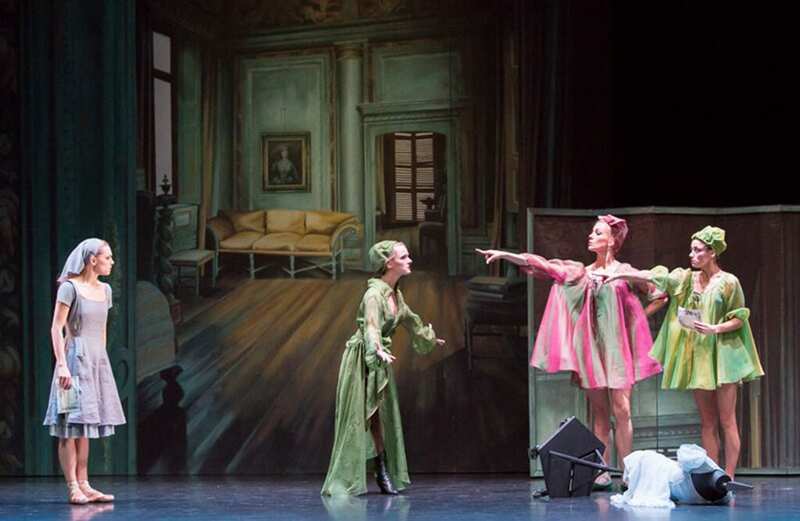 Not only do the two ballerinas clearly delight in their roles, the audience, full of children, is in hysterics. 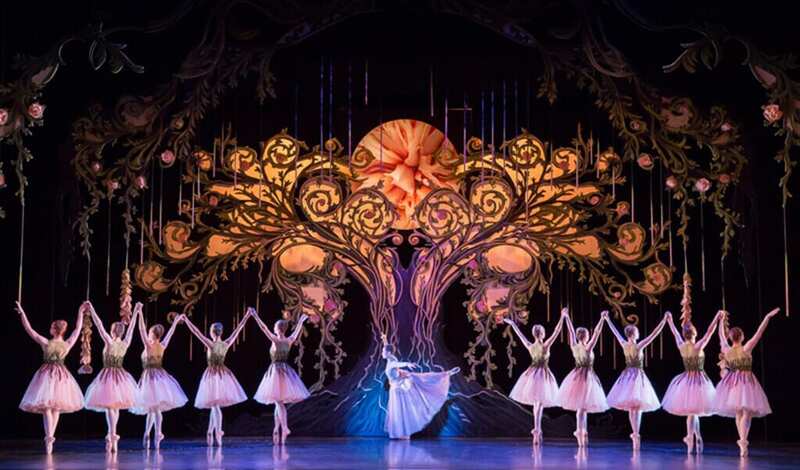 This makes a fun change from the usual, rather more serious winter classics such as The Nutcracker, Swan Lake and Sleeping Beauty. Now for the festive sparkle bit. Sophie Martin and Andrew Peasgood are lovely as Cinderella and the Prince, delivering a series of light, elegant and seemingly effortless pas de deux. They sparkle both metaphorically and literally, their costumes (and those blinding ‘glass’ ballet slippers) a haze of glitter. These outfits contrast fittingly with the sisters’ brightly coloured clothes. My one query is why the fairy godmother – who would have looked fantastic in either glitter or bright colours – was dressed like an elderly Victorian woman partially submerged in a meringue. But I’ll let that pass. After all, who cares about the dress when she’s popping out of a giant Art Deco tree? Finally, the opening of the third act sees the cobblers in goggles hard at work on a seemingly endless supply of shoes while a row of apparently disembodied legs (thanks to effective spotlighting) strike quirky poses in the background. The most experimental part of the performance, this Kafka-meets-Fosse sequence is worked seamlessly into the fairy tale atmosphere of the whole piece. I’d love to see more of these details. So yes, my first line is pretty cheesy, but this may be the last chance I get to say ‘festive’ until next winter, so here goes: Cinderella is funny, festive delight.